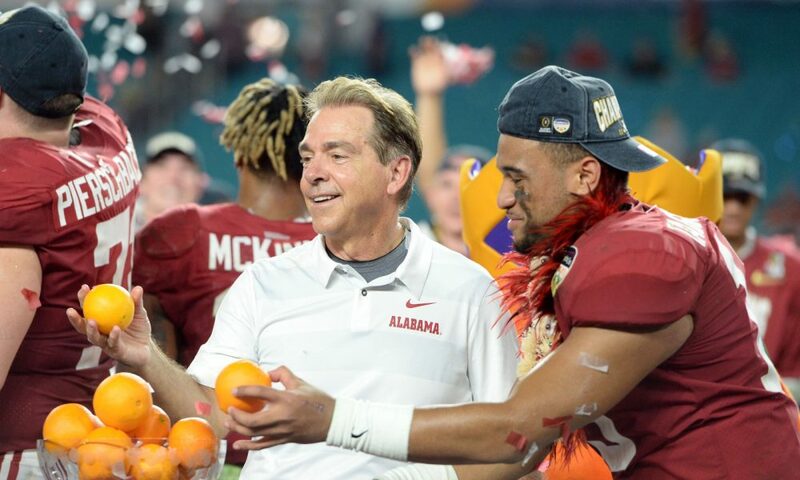 It's a good time to be Alabama and quarterback Tua Tagovailoa if you're looking ahead to potential trophies they can add to their collections. Per OddsShark.com's Scott Hastings, Tagovailoa remains the overwhelming favorite to win the 2018 Heisman Trophy with -275 odds (bet $275 to win $100). Oklahoma quarterback Kyler Murray (+333) is the only player within shouting distance of Alabama's sophomore sensation. Per OddsShark.com's Kris Abbott, the Crimson Tide have no betting competition in the national title race at -200. Clemson (+550), Notre Dame (+650), Ohio State and Michigan (+1200) round out the top five. 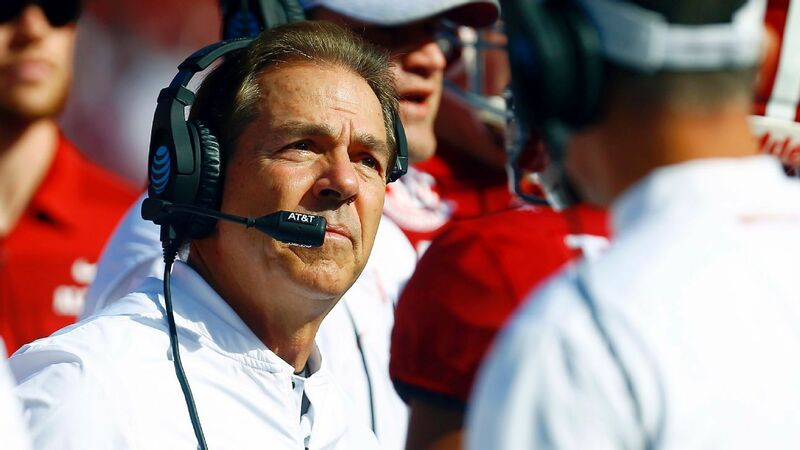 Alabama is closing out the season with its most difficult stretch. The defending national champs travel to No. 3 LSU on Saturday before hosting No. 18 Mississippi State on Nov. 10 and Auburn on Nov. 24 with a warm-up game against The Citadel on Nov. 17. It's perhaps telling what oddsmakers think will happen when Alabama takes on LSU that the Tigers, despite being No. 3 in the first College Football Playoff rankings, have the eighth-best odds (+2500) to win the national title. Having one loss already doesn't leave LSU with any wiggle room if it's going to remain in the Top Four of the playoff standings when the final rankings are released on Dec. 2. 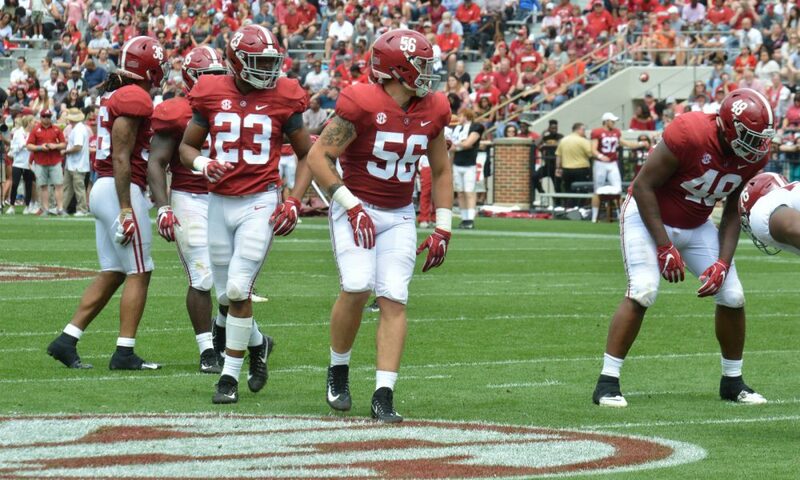 The Crimson Tide have been an unstoppable machine through eight games. Tagovailoa has led them to an FBS-high 54.1 points per game with 2,066 passing yards, 70.4 completion percentage and 25 touchdowns with no interceptions. Murray has done a fantastic job replacing last year's Heisman winner, Baker Mayfield. The junior has three more touchdown passes and a higher completion percentage (73.2) than Tagovailoa, but the Sooners lost their only game against a ranked opponent to this point (No. 17 Texas on Oct. 6). Clemson seems to have the easiest path to the College Football Playoff. The Tigers' lone remaining game against a ranked opponent is at No. 22 Boston College on Nov. 10. Freshman quarterback Trevor Lawrence, who has thrown for 797 yards and seven touchdowns in the past three games, entered the Heisman-odds race this week at +4000. Everything to this point in the 2018 season points toward Alabama claiming another title. Tagovailoa's performance has him on track to becoming the program's third Heisman winner since 2009.